DO NOT TICKET THE PRANKSTER AT ANY COST!!! The Prankster received an email from a concerned motorist who visited Yate twice in one day to pick up some bits and bobs of shopping. The motorist was not best pleased to receive a charge notice in the post. After emailing The Prankster, the motorist revealed they have made some excellent investigations of their own, including extracting information from the DVLA without having to pay their ridiculous £5 fee, and is all set to make sure Highview get charged their regular £27 at POPLA to find their ANPR systems are faulty. The Prankster and the motorist have told them that for free of course, but Highview love to get a second opinion and will no doubt be spurred into immediate action in due course. The Prankster has this advice for anyone appealing to Highview. POPLA does from time to time receive requests for a verification code when it has not been supplied by the operator, even though a rejection has been issued. It is always the operator’s responsibility to send this to the motorist. 2) At least one appeal reason. In the above case 'I was not parked between the times you state' is sufficient. 4) An indication you require a POPLA code if the appeal is rejected. 'Please uphold my appeal or send me a POPLA code within the required 35 days from receiving this appeal. This ensures Highview parking have enough rope to hang themselves and removes any possible reasons they might use to wriggle out of BPA Ltd sanctions. If you want to make them choke on their coffee, you could also mention that you read The Prankster's blog and you understand that they will be spurred into immediate action on receiving your letter. However, this is not strictly necessary for appeal success. If Highview do not conclude the appeal process within 35 days, or reject your appeal without sending a POPLA code, or send reminder letters or debt collector letters before sending a POPLA code, then complain immediately to the BPA Ltd. Many thanks to The Motorist for the information - you know who you are. 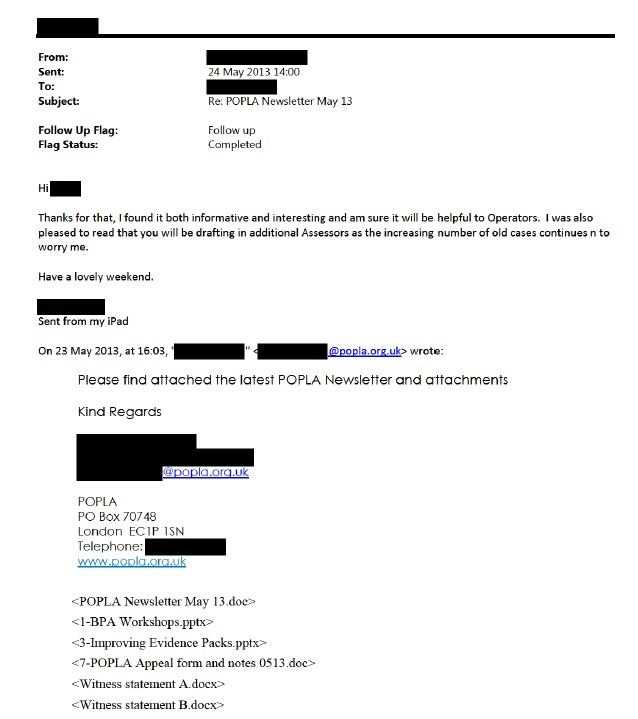 The POPLA emails were released under an FoI request to London Councils and are protected by copyright. The Prankster cannot therefore make the full set of emails generally available. Here is London Councils view on copyright. The Prankster considers that he has complied with these conditions by using brief extracts for the purposes of criticism, review and news reporting, and has acknowledged the copyright owner. If London Councils wish to disagree they know his email address. "If other people wish to view the information then they may request the information from London Councils under the Freedom of Information Act 2000. This is to ensure that, whilst London Councils meets its obligations as an open and transparent organisation under the Freedom of Information Act 2000, it is also able to retain control over the use of its copyrighted material." If you want a copy of the emails, you will therefore have to request them yourself using the Freedom of Information Act 2000. I make the following requests under the Freedom of Information Act 2000. 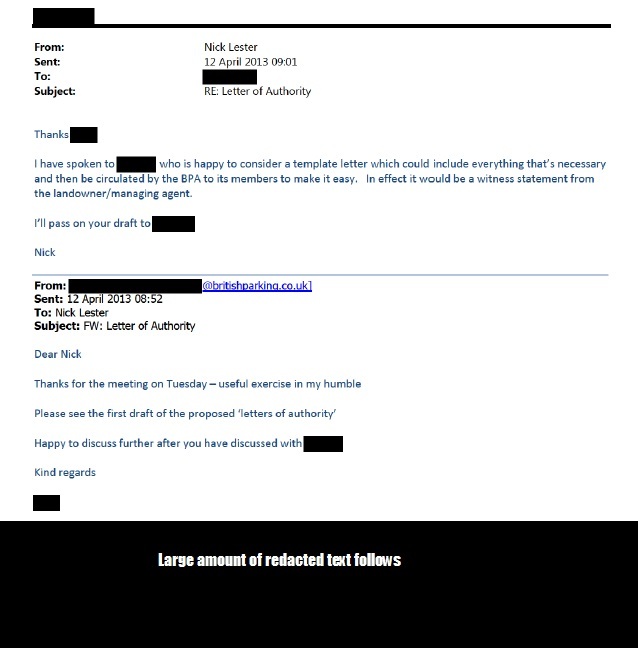 2) Please supply a copy of all email correspondence between Nick Lester Head of Corporate Resources at London Councils and the BPA Ltd from 1st January 2013 to 24th June 2013. I note you released similar information under request S-2013-15.which may make it easier for you to fulfil this request. Kindly acknowledge safe receipt of this email. 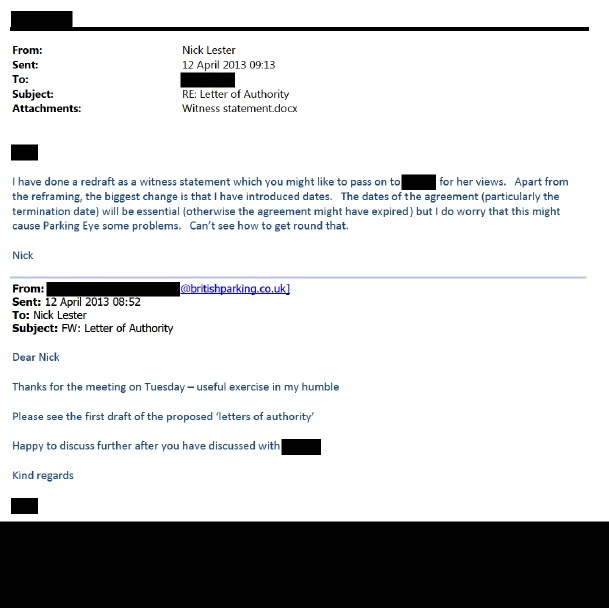 ParkingEye request a meeting with Nick Lester of POPLA to discuss how to get round the problem that operators always lose at POPLA if asked to show they have a contract with the landowner. The meeting is arranged for 9th April. 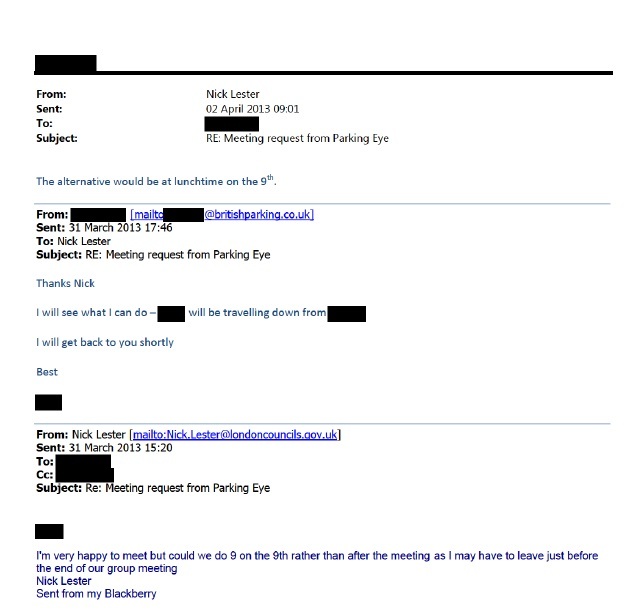 Nick Lester met with Parking Eye and the BPA Ltd on 9th April and then a draft witness statement was sent to Nick Lester. Although the witness statement comes from the BPA ltd, a large amount of the email is redacted. The 'first draft' attachment is mysteriously missing from the attachments released by the FoI request. Did it come from ParkingEye originally? Why were large sections at the end of the email redacted? Nick edits the document and 12 minutes later sends it on. He is worried it might cause problems for ParkingEye. This time the attachment is released under FoI. 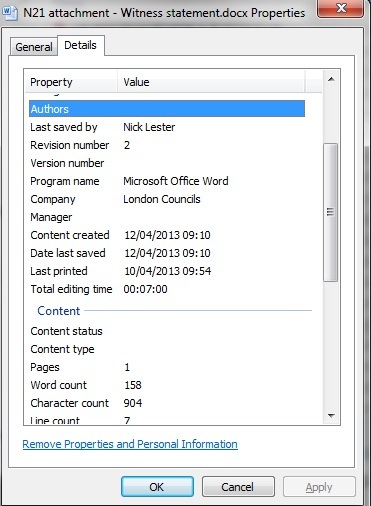 It was last saved by Nick Lester, but the 'Authors' field has been blanked. The witness statement was then sent out along with the POPLA May newsletter. This email is mysteriously missing from the FoI request. ...but this email referring to it is not. This email referring to it is also present. 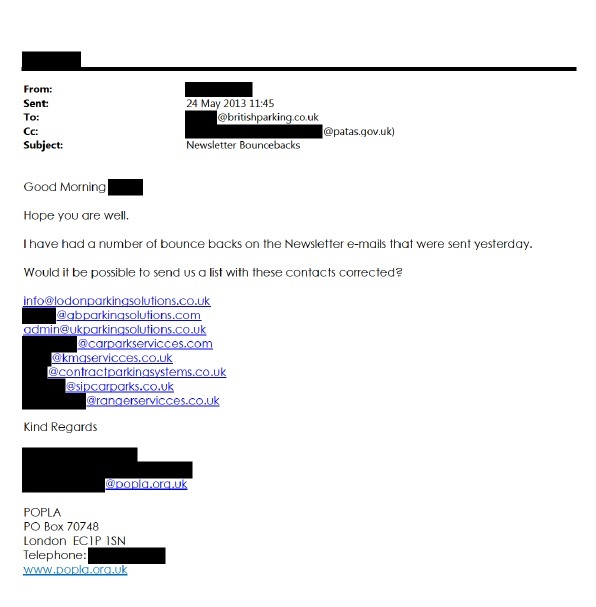 The witness statements sent with the newsletter, not released under FoI, now have an 'Authors' field of alex.cooke. They were last saved by the Lead Adjudicator, Henry Michael Greenslade. 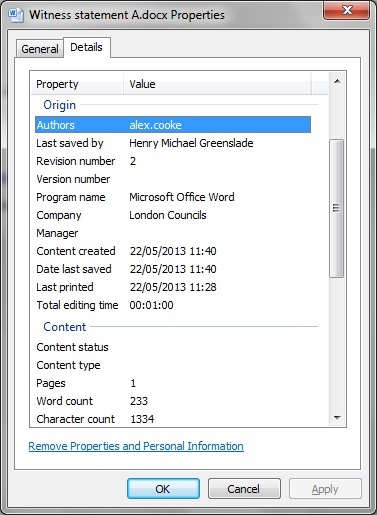 Did Nick Lester forget to remove the author field from the copy he sent to Mr Greenslade? Is Alex Cooke a ParkingEye employee? Why were 'inconvenient' emails and attachments missed out from those released under the FoI request? Apparently its been a slow few days for news in the parking industry. Nothing much interesting seems to have happened since 26 July. Nick Lester is the corporate director of services for London Councils. He has recently changed his email signature to emphasise that he is not The Parking Prankster. Here is his old email signature. Here is his new email signature. The Prankster approves of the new signature and agrees that Nick Lester is not, nor ever has been, The Parking Prankster. POPLET: Good morning, you're through to POPLA my name is [Poplet] how can I help you? PRANKSTER: Oh hello, I missed your workshops in Birmingham and London and was wondering if there were any coming up that I could book onto? POPLET: Sorry could you start again please? POPLET: You're calling POPLA. We're an appeals service. PRANKSTER: Thats right but you have run some workshops. Is that correct? POPLET: I only deal with appeals. I tell people how to appeal. PRANKSTER: Okay, well who's the best person in POPLA to talk to...I think Richard Reeve ran them...is that right? POPLET: That could easily be but it would be best to email us at enquiries@popla.org.uk. PRANKSTER: Oh, you can't pass me through to Richard? PRANKSTER: Oh, okay. Well I've got another question. I have a problem wording my appeal regarding pre-estimate of loss. What's the best way to word my appeal to make my appeal upheld? POPLET: Right, you've had a letter of rejection from a car park operator? POPLET: You have 28 days from receiving that appeal to appeal to POPLA. POPLET: I can advise you to get as much information in as will help your case as possible. 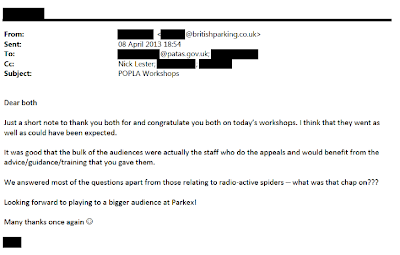 PRANKSTER: I gather the lead adjudicator has been advising the parking companies how best to word their evidence. I wondered if POPLA could perhaps do the same for motorists. Perhaps could I speak to the lead adjudicator? PRANKSTER: Okay so if I put that in my enquiry you would be able to help me with that as well? PRANKSTER: Oh okay thank you very much. ** The Prankster is fairly certain that the Poplet was incorrect saying he could not be put through. 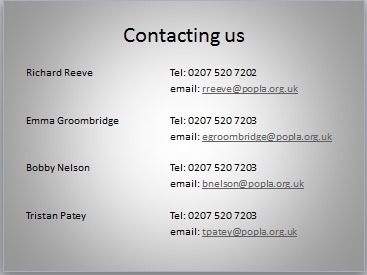 During the workshops POPLA freely gave out the following contact details so obviously to maintain independence it would be fair if motorist could also contact them. Apparently the POPLA Lead Adjudicator is currently enjoying two weeks holiday. The Prankster wishes Mr Greenslade a relaxing and enjoyable break. Don't worry Mr Greenslade. It will all be over by the time you get back. The Parking Prankster was given a copy of an email from the British Parking Association Limited. 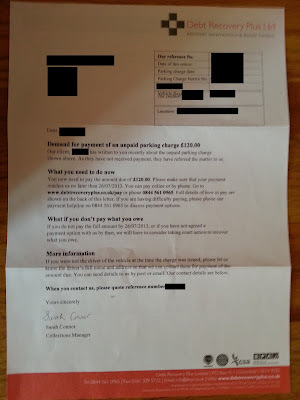 The original sender had complained that ParkingEye were breaching the code of conduct by not charging a true pre-estimate of loss. This was the BPA ltd's reply. Please be advised Parking Eye are within their rights in regards to their parking charge notices and their pre-estimate of loss. · Employment of parking attendants to patrol the parking location to include supervisory staff and vehicles, training, uniforms, etc. · Parking payment and enforcement equipment to include the pay & display machines, hand held devices, cameras, etc. 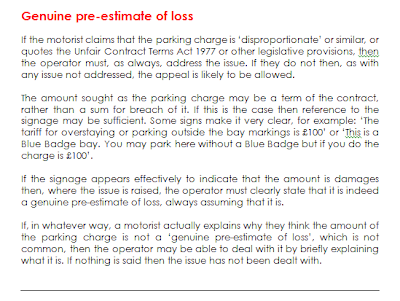 Please note that this sum will be clearly laid out on the signage at the parking location which offers the parking contract to the motorist, and by remaining at the site, Parking Eye will contend that the motorist has accepted all of the prevailing terms and conditions of that contract including the charges for breach of contract, and furthermore accepts that they are reasonable. We do not feel it is right to seek to change the terms of an established contract after it has been breached. If the motorist was unhappy with the contract terms, then the motorist should not have remained at the location. Parking Eye’s breakdown of costs does not breach our code of practice and therefore we are unable to investigate the matter further. As you can see, the BPA Ltd are confusing costs with losses. For a genuine pre-estimate of loss, only amounts that arise directly as a result of the incident are allowed. Running costs of the business are not. You can think of it like this. If the motorist travelled back in time, killed his own grandfather and therefore ceased to exist, would the amount still need to be paid? If so, it is a running cost of the business and therefore not allowed. The Prankster is always glad to lend a hand to the BPA Ltd and so can help out here. Here are some examples of charges that are pre-estimates of loss. Unpaid parking charge. £0 in a free car park. Perhaps £1-£5 otherwise. Sum total? £3 to £8! The Prankster is also pleased to note that POPLA have got this correct too. All recent appeals to ParkingEye asking them to justify their pre-estimate of loss have been upheld because ParkingEye have failed to do this. The Prankster wonders why POPLA are constantly upholding appeals on this basis while the BPA Ltd bury their head in the sand and ignore this. The Prankster would therefore like to give this one line guide to winning a POPLA appeal against ParkingEye. You may add other reasons if you wish, but right now this one line appeal will always win. The BPA can of course freely ignore ParkingEye's little indiscretions. 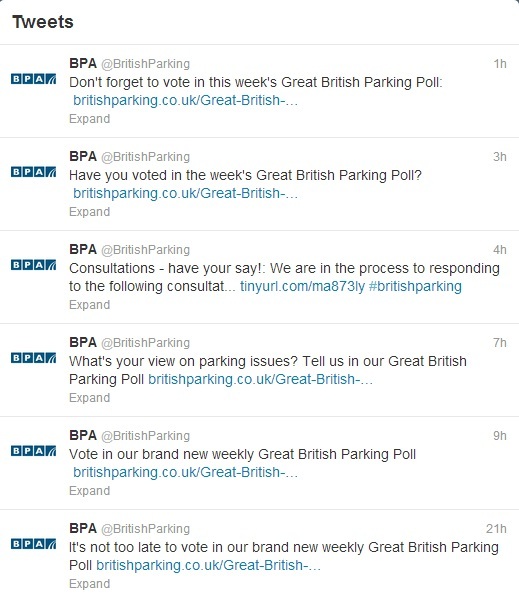 After all, ParkingEye are one of the BPA Ltd's biggest customers and so annoying them would not be good for business. However, The Prankster would like to point out that each POPLA appeal costs the BPA Ltd over £100 pounds so until they get this sorted out they are going to get stung time after time for this amount. A shop tried to charge a shoplifter part of the cost of running the security department, but was not allowed to. A parking company tried to charge the cost of uniforms but was not allowed to. Judge awards actual loss of £15. Refuses anything else. pre-agreed damages; it is a penalty which he says in relation to contract law is unenforceable. JUDGE MciLWAINE: Thank you. Yes. MISS COATES: ... this is our losses. this case, is it not? 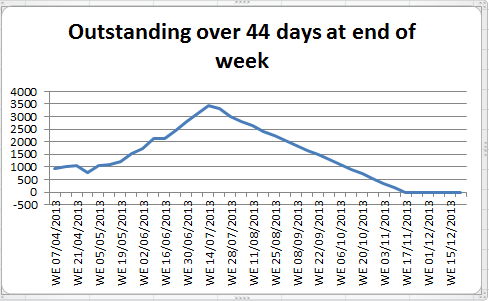 whereas if it is pursued after 14 days and they have not paid up, it costs £120. PA uniform ... What is a PA uniform? MISS COATES: The uniform of the parking attendant on site. the business, is it not? 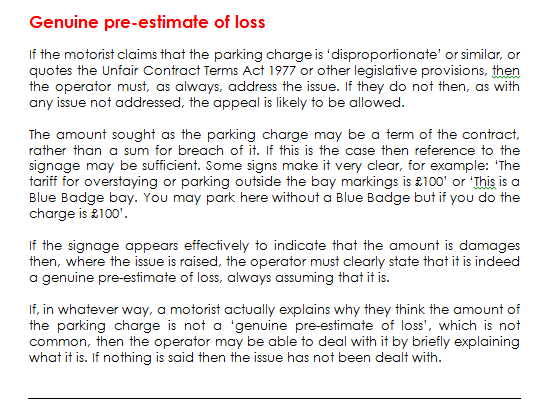 MISS COATES: That is the overall cost of issuing a parking charge notice. MISS COATES: I cannot answer that question. to the business? It is your evidence. You tell me. notice or the portion that was attributed to issuing a parking charge notice. of force, does it not? car park we would not have had to issue the parking charge notice. Mr Ibbotson .. . Is there anything else you would like to say? Any references or other examples are welcomed! Finally, thanks to the mystery guest who sent me the email. Nick Lester is Corporate Director of Services at London Councils. He is also President of the European Parking Association and a Council Member of British Parking Association Limited. A recent freedom of information request released a lot of his emails. Here is one of them. Keen readers will notice the resemblances between his signature and that of The Parking Prankster. They are both green and the font is suspiciously similar. To quash all rumours The Prankster would like to categorically state that he is not a President, has never worked for the British Parking Association Limited and does not currently work for London Councils. He also is not currently, nor ever has been, Nick Lester. At this present time The Prankster has no plans to ever become Nick Lester. The Prankster hopes that clears any confusion up. This blog entry was previously titled 'CP Plus play parking poker with The Prankster'. The Prankster would like to thank ParkingCowboys for this much better title. The Prankster was very excited to receive his first ever letter from Debt Recovery Plus Ltd.
As The Prankster has already asked for a POPLA code twice (the second time practically begging) he has decided to overbid with a complaint to the British Parking Association Limited, to deny the debt to DRP and to ask The Terminator to refer it back to her client. As the matter is now subject to investigation by the BPA Ltd, The Prankster will refrain from further comment at this time. In a previous post The Parking Prankster stated that ParkingEye issued around 2000 court cases in June 2013. 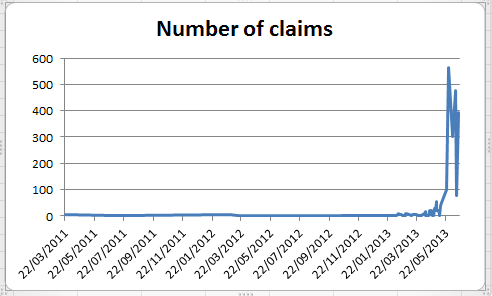 Following a further release of information The Prankster now understands that the actual number of court cases issued by ParkingEye between 1 June 2013 and 18 June 2013 is 1247. 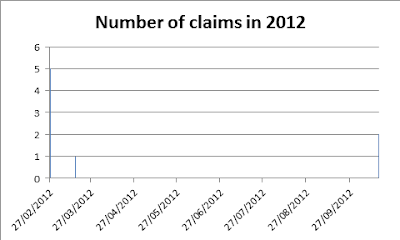 Figures for the number of cases filed after June 18 are not available. The Prankster speculates that the total number of cases issued in July will be 1662 if ParkingEye kept issuing cases at the same rate. This will mean that in one month ParkingEye only filed 2.77 times more court cases than the whole parking industry did in 2012. The Prankster previously stated that they issued more than three times the number of cases as the whole parking industry did in 2012. The Prankster wishes to apologise to anyone who has been misinformed by his earlier article. These graphs should explain the situation. The Prankster trusts this makes everything clear. 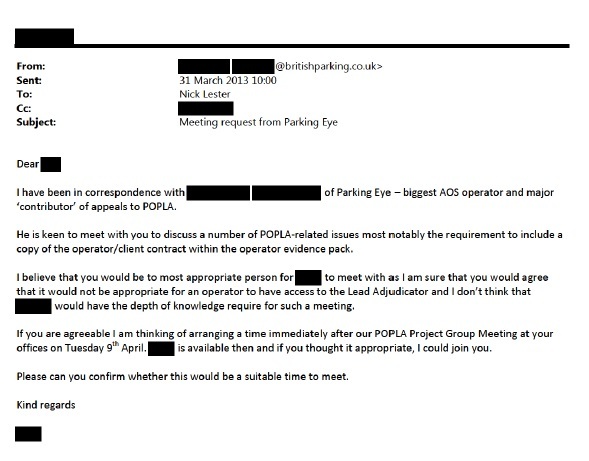 Based on this FoI request, The Prankster estimates ParkingEye will issue 700,000 parking charges in 2013, or about 60,000 a month. The BPA Ltd estimated that 40% of these will go unpaid, or 24000. This makes the chance of ParkingEye currently taking a case to court to be around 6-7%. In a previous post The Prankster pointed out that the DVLA had been caught out telling lies about whether they did or did not check notices from parking companies. The Prankster has now received a communication from the DVLA explaining that from now on signage and notices will be checked annually. This is to be welcomed. What is less welcome is that this checking task is apparently neither being done by the DVLA themselves nor by any independent body, but by a limited company with vested interest; the British Parking Association Limited. The Prankster questions the competency of the BPA Ltd to carry out this task, especially as pretty much all the notices he has seen so far are not PoFA compliant. The Prankster also questions the decision of the DVLA to farm this task out to a limited company funded largely by the parking industry themselves. This surely cannot guarantee impartiality. This is just not good enough, DVLA! You earn millions of pounds a year selling data to the parking companies, generating huge profits. Use some of the profit to pay for a truly independent check on the notices. Better still, require the parking company to pay for that check themselves before they can access your data. In a previous post The Prankster revealed that POPLA was costing the British Parking Association Limited £50k a month, or about £137 per appeal. POPLA are hiring 7 more assessors. We don't know their exact salary. However, London Council's tender to the BPA Ltd shows the broad salary range. Overall then, POPLA will now be billing the BPA Ltd £70k a month. For this, they will get 600 adjudications, taking the cost per adjudication down to around £117. This is lower than the previous cost of £137, due no doubt to economies of scale (or bad guesses by the Prankster). As the maximum parking fee is currently set to £100, this means that the parking industry overall will lose at least £17 even if they win at POPLA and the motorist pays up. Every appeal is therefore a lose-lose proposition for the parking operator. No wonder they are finding ever more imaginative ways to refuse to provide a POPLA code. The inevitable conclusion is therefore that there will be some level of appeals at which the industry bankrupts itself. The Prankster expects that the BPA Ltd will realise this at some point, and start to pressure parking operators to cancel charges which they cannot win at appeal. No doubt the BPA Ltd are mightily fed up with ParkingEye and their invisible contracts and imaginary pre-estimates of loss. How many more POPLA losses will it take before the BPA Ltd have stern words with ParkingEye? As this freedom of information request shows, POPLA are getting to grips with their backlog and have hired 5 more assessors with 2 more on the way. POPLA calculates each adjudication takes on average 20 minutes, so with each assessor working a seven hour day this means POPLA will be able to process around 3400 extra cases per month, assuming 23 working days per month. 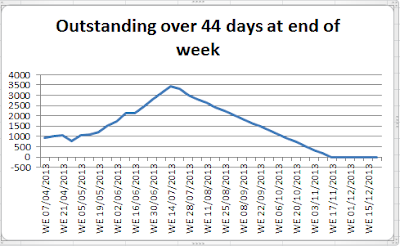 Of course, there will be slightly fewer working days what with holidays, illnesses, training and the like, so POPLA have wisely reduced this figure to take this into account. POPLA hope that once the new assessors all get up to speed POPLA's overall decision making capacity will rise to 600 a week and they assume that new cases will arrive at the rate of 412 a week. Based on those assumptions they will be able to clear the backlog by the middle of November. This will see them hitting their target of deciding all cases within 44 days of receipt. Currently they are hitting 0% of target. 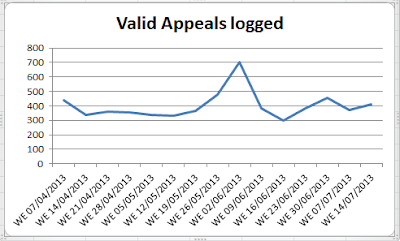 Their best recent month was April, when they hit 0.27% of target by deciding 2 cases within the timescales. Of course these projected figures may not be correct but it is encouraging that POPLA have the process modelled via spreadsheet so that they can monitor the situation and hire more staff as necessary. 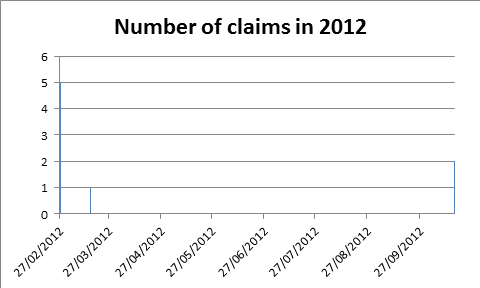 The average wait for cases to be adjudicated was 84 days back in June. This tallies with The Prankster's experience; he had to wait 70 days and 95 days for his last two adjudications. 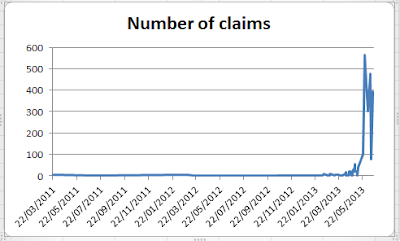 This graph shows the number of cases logged per week. 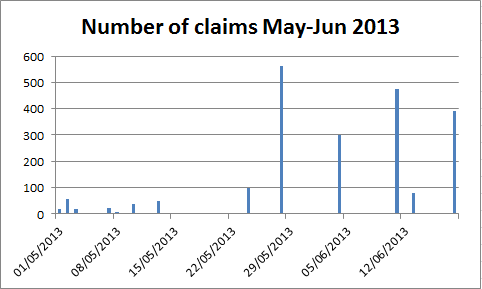 There was an interesting spike at the beginning of June, but numbers have since declined back to previous levels. The Prankster does not know why this is. 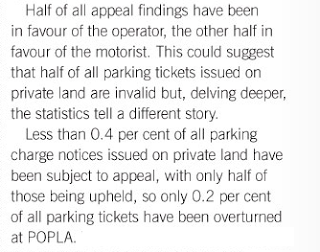 However, he also notes this statistic from the report, giving the number of appeals withdrawn by POPLA, (which he assumes actually means the Operator). 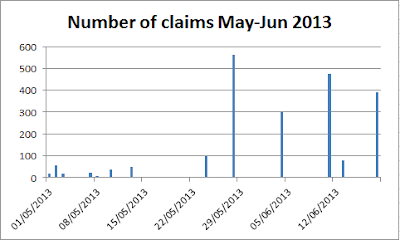 There is a sudden surge in withdrawn cases in June. 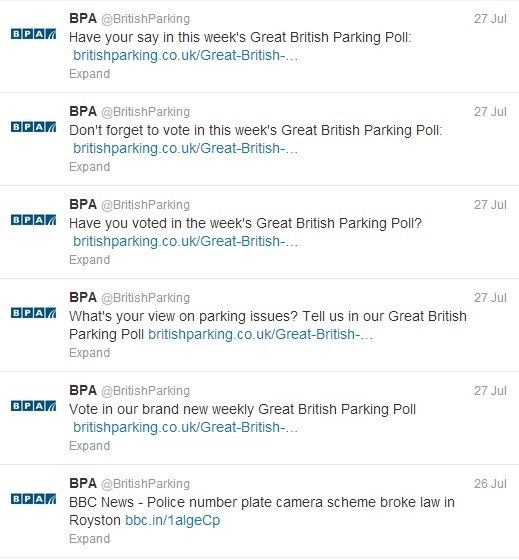 Remember that each POPLA case costs the British Parking Association (BPA) Limited £137? Perhaps stern words have been going out. The Prankster wonders if the BPA Ltd have been contacting Operators and instructing them in no uncertain terms to uphold all appeals in cases where they cannot possibly win and also to withdraw any similar cases currently in with POPLA. A withdrawn case will still cost the Operator £27, but there will be no assessor time needed and so the BPA cost will also be £27 and not £137. The Prankster questions POPLA's statistic on replying to emails. 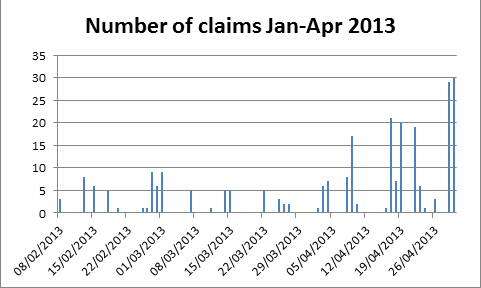 The Prankster has a complaint in with London Councils regarding 7 unanswered email queries from as far back as February 2013, mostly asking for confirmation that evidence has been received but also for other reasons. Finally The Prankster applauds POPLA's 100% success rate in 'Acknowledging Operator Evidence'. Presumably this impressive success rate will continue for as long as the auto reply feature is enabled on their evidence mailboxes. ...from the joy and wonder of parking, and goes to watch his son graduate. Today The Prankster is just a proud Dad. 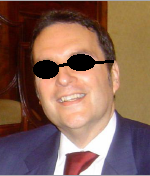 Elvis walks free. Map department fails again. Highview spurred into immediate action. The Prankster considered his latest POPLA appeal to be a tad overdue - 60 days and counting - so he fired in a complaint to POPLA and London Councils. Mysteriously, the very next day, his POPLA verdict appeared. The 60 day wait was actually 95 days as The Prankster first appealed on 10th April, so The Prankster eagerly awaits the results of his complaint and looks forward to finding out how POPLA will be bringing delays back under control. As The Prankster has already pointed out, a 60 day delay in April translates to a 120 day delay for cases being filed right now, which is clearly not acceptable. The Prankster appealed to Highview Parking after his vehicle was spotted double-dipping in Yate shopping centre. Here is his original appeal. As usual The Prankster clearly points out right at the beginning that he was not parked for the times alleged. I have received the speculative invoice referred to above and as I do not recall parking at these times I wish to invoke your appeal process. I suspect I am Elvis. If not, then I am certainly his reincarnation. My skills with the air guitar are legendary within my own household. My only problem is forgetting where I have put them down; I have lost three in the past week alone. Obviously, as Elvis, I need no further reason for you to cancel your invoice. 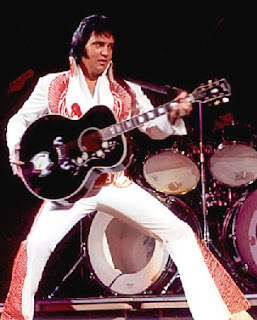 The Prankster freely admits his other appeal reasons may be due to a mental aberration at the time and on reconsideration he no longer believes he is Elvis. He is Lord Lucan. Highview Parking replied with their usual droll witticism. When it came to their POPLA case, they threw caution to the wind and appealed with rabid flair. The Prankster was amazed that Highview Parking still failed to realise that 'not parking at these times' was a valid appeal reason, especially after being spanked so many times before. 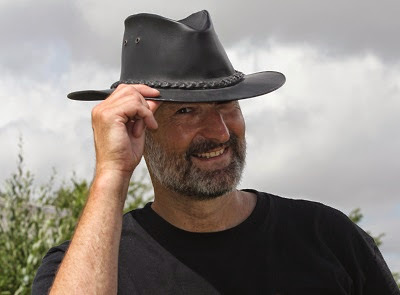 He was also amazed they thought they strived to adhere to the best practice in the industry, especially as they blatantly failed to award him customer of the month, and also have difficulty putting together a coherent POPLA appeal. The Prankster also noticed that Highview Parking claimed they had six charges pending. Suspiciously, these charges never materialised. The Prankster wonders if they were figments of Highview Parking's imagination. He also wonders if they illegally accessed the DVLA database for Parking Charges they had no intention of issuing. The Prankster emailed Highview Parking asking for details of the mysterious charges, but they never replied. Diving deeper into the evidence pack, The Prankster noticed that the Highview Parking map department had been sleeping on the job again, so he cancelled his original appeal reasons and submitted a new appeal, based only on signage. 1. The appellant notes that he much prefers the Operator’s spelling of ‘apocalypse’ to his own. However, he questions the relevance of the paragraph it is contained in. He notes that he has not been served with any of the six charges the vendor states are pending, or been provided with any details, despite emailing the vendor for clarification on 7th May. As the vendor is now out of time to serve these notices, he therefore concludes that the Operator has decided that the charges are not enforceable. As the Operator brought the subject up, the appellant finds it not unreasonable for the Operator to also consider this charge also to be unenforceable, and therefore asks for this appeal to be upheld. 2. In the event that the adjudicator finds there is a case made by the Operator, which the appellant strongly denies, and also that the remainder of the evidence pack is related to the case, which the appellant also questions, given the Operator’s previous form, the appellant wishes to state he does not believe any contract has been entered into, whether actual or implied, by signed paper contract, verbally agreed, by signage or any other means. The Operator has made no clear statement to the effect that a contract has been entered into with the appellant, or how this has come about. The appellant therefore requests that the appeal be upheld. 3. In the event that the adjudicator assumes a contract has been made by signage, which the appellant strongly denies, the appellant wishes to draw attention to the map provided by the Operator in their evidence pack. It does not contain a key explaining any colouring or symbols used. It does not contain any latitude/longitude or any other referencing information allowing confirmation that the map really is of the site in question, nor any date information showing that the map is current; it does not clearly show the entrances and exits to the car park, nor define the boundaries to which any restrictions apply. It does not show the position of signage or ANPR cameras. It contains no legible labeling allowing any roads, buildings or any other places to be identified. It contains several numbers for which no explanation is given. There are two number ones. There is one legible legend; ‘Main Sign’. This appears to be referring to a round green blob which the appellant would have otherwise assumed to be a tree. In any case, no reference is made elsewhere to this ‘Main Sign’, so the contents remain a mystery. The appellant considers the map unfit for purpose; it does not bear any relevance to a map useful in an appeal processes. In view of the above, and that it is therefore impossible to assume a contract can be made by signage, the appellant requests that the appeal be therefore upheld. 4. The appellant notes that there is only one label ‘Main Sign’. However, the map clearly shows two other entrances. One, directly above the sign, and below the area which may be labeled ‘Bus Station’. The other, at the top, near the numbers 20/21. There is clearly no ‘Main Sign’ shown at either of these two locations. 5. 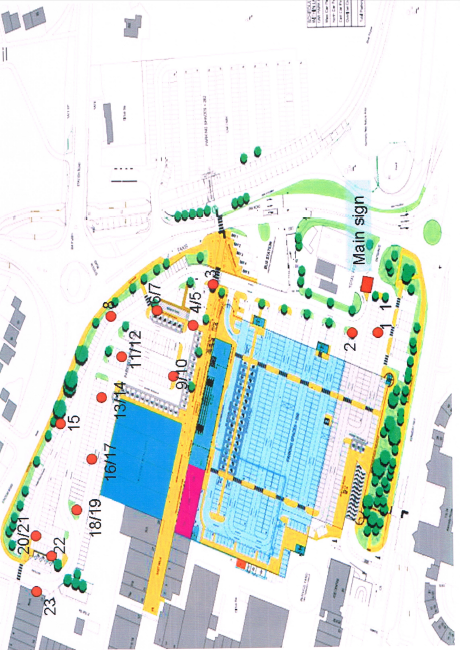 The appellant also notes the large parking area shaded light blue. There is clearly nothing which may vaguely be interpreted to be signage in this area, even if the adjudicator is feeling lenient. 6. The appellant therefore argues that the Operator has failed to demonstrate there is either the appropriate entrance signage or that there is coverage of the car park, and therefore asks the adjudicator to uphold the appeal. 7. The appellant admires the pretty pictures of signs in the evidence pack. The appellant asserts that this is all they are; pretty pictures. There are no captions, references or explanations tying the signage to the case in question. They are not dated, and there is no indication as to when the Operator last checked that the signs were still current as per the photographs. The writing is too small to read and they are not referenced to other readable signage in the evidence pack. The appellant requests that the adjudicator admires the artistic quality of the pictures, but otherwise dismisses them as irrelevant to the case. The POPLA Administrator mostly agreed with The Prankster, which is not surprising since she made the same comments about the map last time. 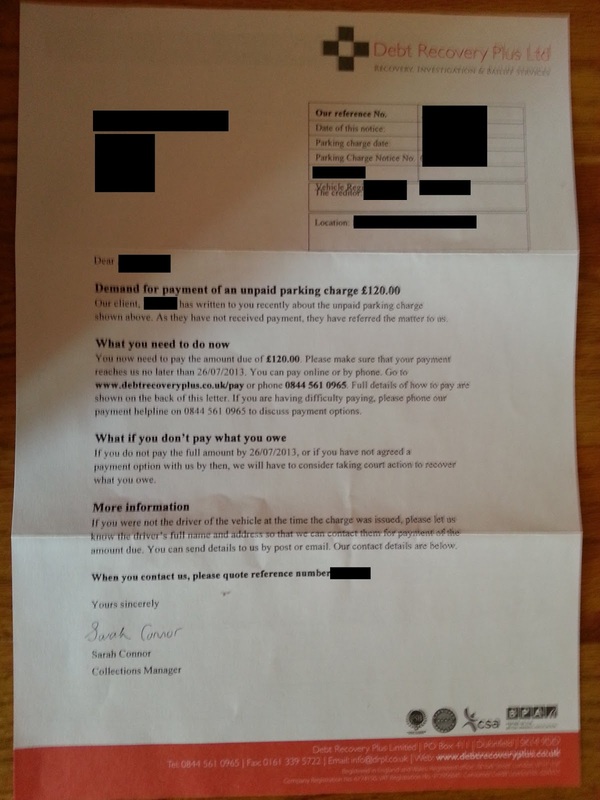 On 12 March 2013, the Operator issued a parking charge notice because on 28 February 2013 the vehicle with registration mark CST U£27 was recorded via automatic number plate recognition as having stayed in the Main Car Park for 7 hours 49 minutes, which was longer than the maximum stay of 4 hours. The Appellant made various representations, stating that he does not believe he has entered into a contract with the Operator, whether actual or implied, written or verbally, or by notice in the form of signs. The Appellant submits that the map produced by the Operator does not include a key or labels, and does not show the position of any signs apart from one titled “Main Sign”. The Appellant submits that there are 2 other entrances, but that according to the map there are no other signs situated at these locations. The Appellant adds that there is a large parking area shaded blue, but that there are no markings to indicate that there are any signs in this area. The Appellant further submits that the photographs of signs produced do not include any information as to where they are situated, and therefore do not add anything to the case. The Operator rejected the representations, as stated in the notice of rejection they sent, because the parking charge notice was issued legally and correctly according to the British Parking Association Approved Operators Scheme. The Operator produced images that appear to show the vehicle entering the site at 07.49 on 28 February 2013 and exiting at 14.32 the same day. The Operator produced photographs of some of the signs in the area, which state that the maximum stay is 4 hours. A map of the site has also been enclosed. However, as the Appellant has stated, there is no key, although it appears that the green circles indicate trees and the orange circles indicate the location of signs. The blue shaded area mentioned by the Appellant is an area marked “parking spaces”, however there are no orange circles or other indication that any signs are displayed in this area. Having carefully considered the evidence before me, I must find as a fact that, on this particular occasion, the Operator has not shown that the terms and conditions were clearly displayed throughout the site. As the Appellant submits that there was no contract between the parties, the burden of proof shifts to the Operator to prove otherwise. The Operator has not discharged this burden. 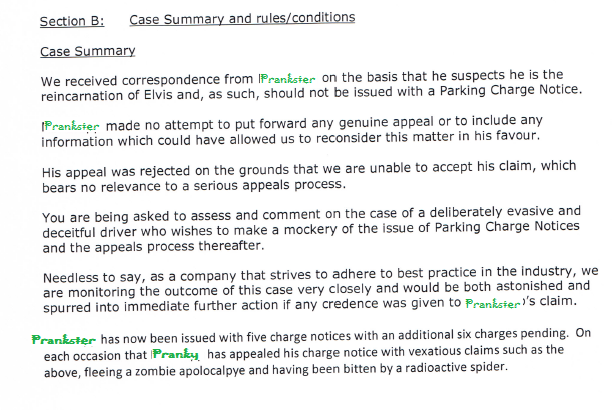 The Prankster notes that Highview Parking are as usual, 'monitoring the outcome of the appeal very closely'. As they have lost again, no doubt they will 'spurred into immediate action' The Prankster imagines this will probably be to fire their map department and get some new cartographers. Here is how The Parking Prankster thinks POPLA's second annual report will look. Lead Adjudicator here, with our second annual report. We released our first annual report after six months. This one follows on a mere one month later so I hope you are all impressed with the striking increases in efficiency thus achieved. In future, we may even get out annual reports on a weekly basis. 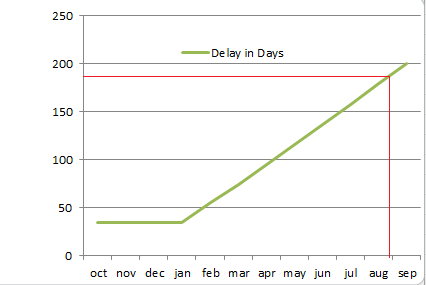 On the subject of efficiency I'd like to scotch all the rumours about delays getting out of hand. All delays are accounted for and on plan. Currently we are processing appeals from April, which means we are only 2 months behind schedule - a commendable delay for such an early stage in the organisation's life. 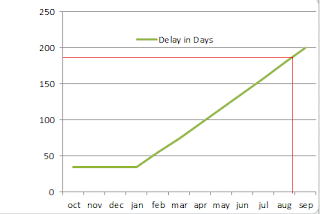 Our plan is to reach our target of being 6 months behind schedule in the near future. We aim to hit this by burying our heads in the sand and ignoring the fact that appeals are coming in faster than we can process them. As the graph (helpfully provided by The Parking Prankster) shows, if the number of appeals per month remains constant and our rate of processing appeals does not improve, we should hit our target around August. With regard to hitting our other targets, the Secretary of State imposed several requirements upon us. 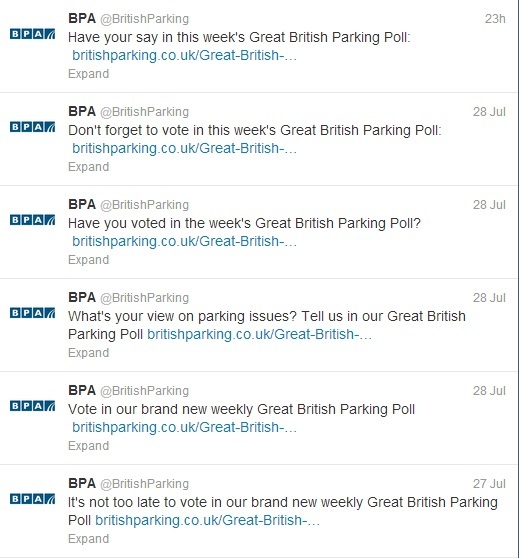 One of those was to report all breaches of the code of conduct to the British Parking Association (BPA) Ltd. Each appeal upheld means that the Operator is more than likely doing something wrong. After 1058 upheld appeals upheld we can therefore proudly report that we have referred a total of one case to the BPA Ltd. Impressive huh? We hope to double or even treble that number soon! As an independent organisation we should really be half on the side of the motorist and half on the side of the parking organisations. However, pretty much all well crafted motorist appeals will succeed if they ask the parking company to supply a contract with the landowner and to justify any pre-estimate of loss charges. 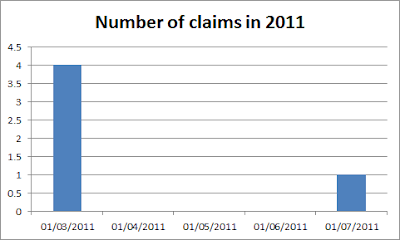 In my previous report, I tried to redress the balance on the side of the parking companies by hiding this fact. However, I fear the cat is now out of the bag. I'm not sure what I can do now to help the parking companies win cases (they do after all indirectly pay my wages), but I will have a jolly good sleep on it. I see that the BPA Ltd, in issue 321 of parking news, have been trying to put a positive spin on the number of appeals upheld. They point out only 0.2 percent of tickets have been overturned. I hope they can continue to pull the wool over the parking companies' eyes for as long as possible. The sad truth is that almost 100% of tickets are invalid and so will be overturned with a good appeal. We must therefore try and keep as low a profile as possible and try and keep motorists ignorant of POPLA. In that respect I applaud their recognition of my efforts in this area as they quote me in their article. I fear they got the wrong end of the stick though. Most of the internet information is quite frankly, not helpful at all to the parking companies as detailed instructions on how to win at POPLA are easily available from sites such as parkingcowboys, pepipoo and moneysavingexpert. Luckily for us some information is wrong; some posters still advise motorists to ignore parking charges which means they won't get to bag an easy win and get the charge overturned at POPLA. Lastly, with a new game in town, I would like to reiterate my commitment to helping the parking organisations find a way to win at POPLA. Please bear with us and don't desert to the dark side. I know who pays my salary and am doing my best to help you.